Arrive by car or plane & shuttle. 300 acres of beautiful meadows and forest near Newport, Washington. Call 1-509-447-5549 or email the office to arrange a visit of any length. 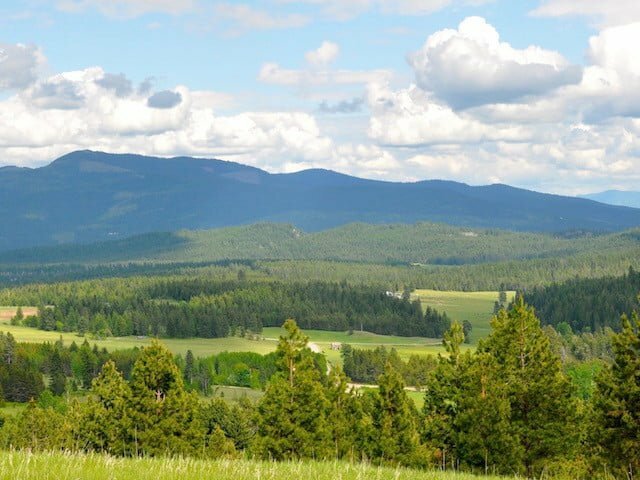 We’re an hour’s drive north of Spokane, Washington and Coeur D’Alene, Idaho. It’s 6 hours from Seattle, Washington and about 7 hours from Portland, Oregon. Spokane International (GEG) is our nearest airport. Spokane also has Amtrak and transcontinental bus service. Options for ground transportation from Spokane to the Abbey are described below. Guests are responsible for their own travel arrangements. Please plan to arrive at the Abbey before 3:00 pm. Before you arrive, please arrange transport from the Abbey to your next destination. The air is clear and wildlife abounds. Panoramic views change with the seasons. Interstate-90 is the main east-west route through Spokane. 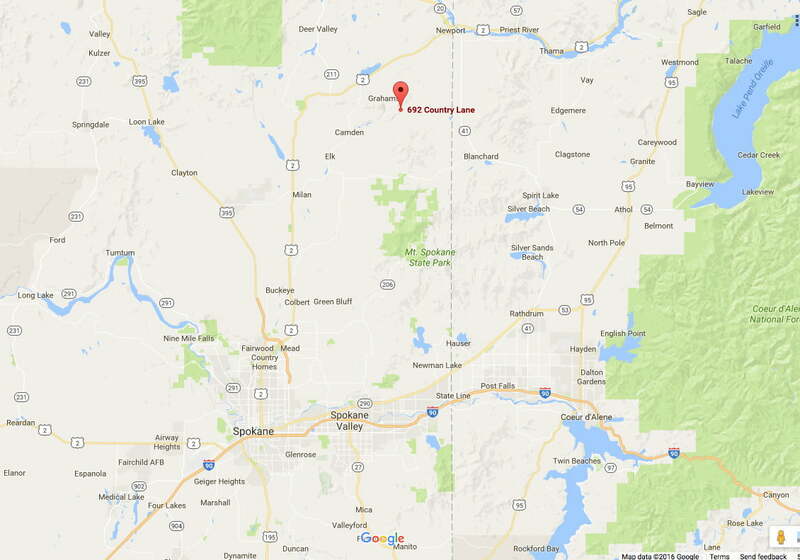 Take either US Highway 2 from Spokane and Sandpoint or Idaho 41 from Coeur d’Alene to reach us. The Abbey is at 692 Country Lane, Newport, WA 99156. You may not get a GPS signal in our rural area. Get driving directions before you come. Email our office. Snow can come October to April. Check weather conditions in general, or travel and weather conditions in these states: Washington, Idaho, Montana, and Oregon. Also check local travel advisories on roads near the Abbey. Our zip code is 99156. Please drive carefully. Deer, turkey, and other wild creatures often wander onto the roads. Look out for our turtle crossing sign! Omni Bus operates 7 days a week and costs $95 per person one-way. It drops you off in nearby Oldtown, Idaho. Call (208) 667-6664 for reservations. Spokane Airport Express also operates 7 days a week, delivers you to the Abbey, and costs approximately $100 per trip one-way. Whether there’s one or multiple passengers, the cost is the same. You can rent a car from agencies at the airport. Email or call our office to get driving directions. If you take a taxi from the airport, expect to pay at least $160 in fare one-way, plus tip. You may choose to stay in town and drive to the Abbey for each day’s program. Newport is about 20 minutes away. You could also stay in Spokane or Coeur d’Alene; each is about an hour away. A shuttle runs from Spokane airport to Newport, WA twice a day on Monday, Wednesday, Thursday, and Friday. The shuttle also picks up at the train and bus stations. Cost is $5 one way. You must schedule at least 24 hours in advance. Visit SMS1.org to schedule a pick-up, or call 1-877-264-7433 (toll-free); (509) 534-7171 (local). Let us know your arrival time. With advance notice, the Abbey can pick you up in Newport. The shuttle leaves Spokane airport headed to Newport at 6:15 am or 1:45 pm. There is no shuttle service on Tuesday, Saturday, Sunday, and federal holidays. Book your flight to arrive in Spokane by 1:00 pm to catch the afternoon shuttle. If you can’t arrive by 1:00, you can stay in Spokane overnight and take the early morning shuttle the next day. Reserve you shuttle seat at least 1 week in advance: Mon-Fri, 8:30 am-5 pm: (877) 264-RIDE (toll-free) or (509) 534-7171 (local). Request specifically for pick-up at the airport. Visit the Special Mobility Services website for route details. Email or call our office with your date and time of arrival in Newport. We’ll pick you up from the Newport Safeway shuttle stop. You can return to Spokane by shuttle, leaving Newport at 8:30 am or 4:30 pm. No shuttle on Tuesday, Saturday, Sunday, or Federal Holidays. You could also take the 4:30 p.m. shuttle and stay in Spokane overnight for a flight the next morning. Let our office know your return details, so we can arrange for your ride to Newport. 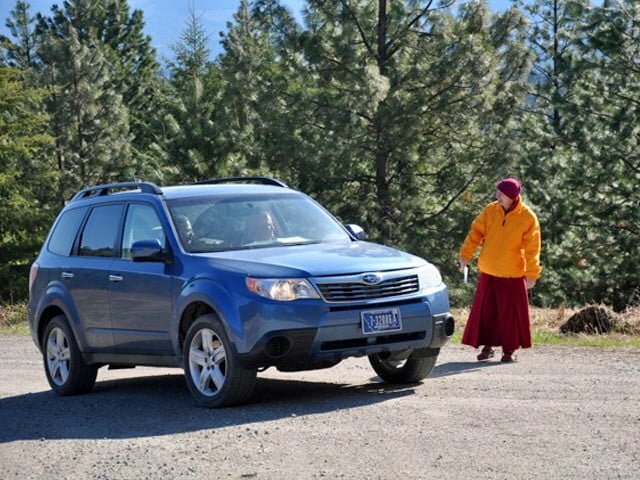 We ask our arriving and departing guests not to ask Sravasti Abbey residents, volunteers, friends, or neighbors for rides or housing. When you arrive at the Abbey, come to Chenrezig Hall for your room assignment and to drop off your food offering. We’ll tell you where to unload and where to park.